Hello, i apologize for using the UK sector file genre but i am having trouble installing VCA. 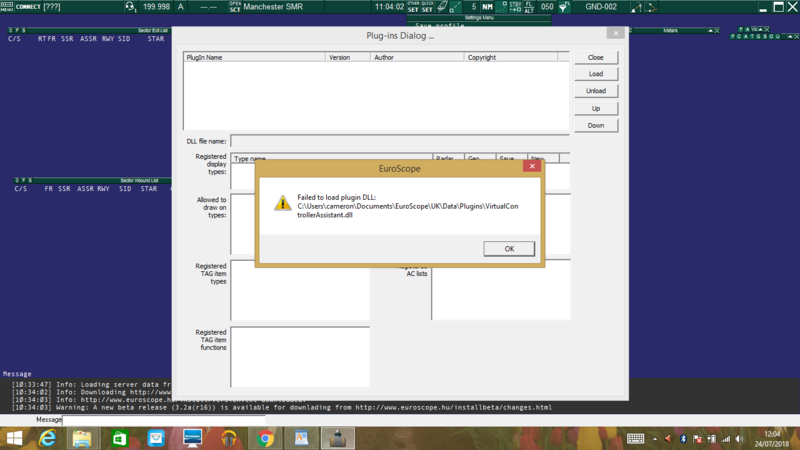 I extract the ZIP file, (just into my downloads) then it leaves a DDL file, i go to Euro-scope and enter the plugins tab, i select the DDL file and it fails to open it. So would anyone know what to do? should i extract it in a certain location? 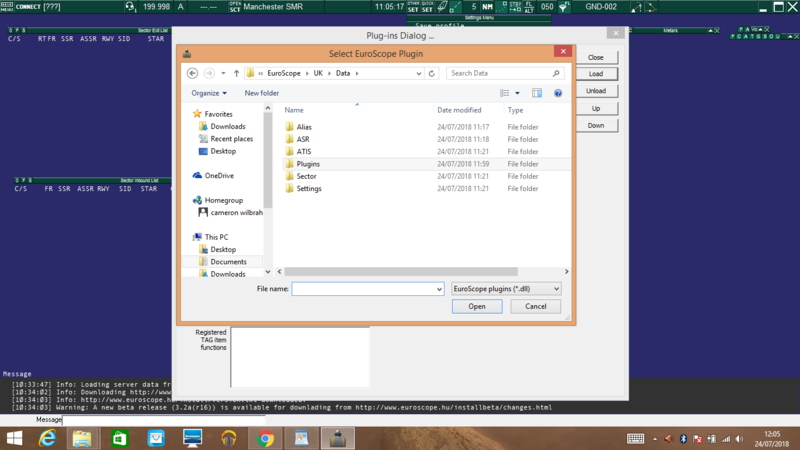 Put the DLL file in Documents\Euroscope\UK\Data\Plugins – create a new folder if there isn't already one there. Failing this, make sure you have Microsoft Visual C++ 2010 Redistributable Package (x86) installed, available here. EDIT: The correct version of the C++ Redistributable Package for the latest version of VCA is Visual C++ Redistributable 2015 (x86). This is available here – it is the x86 version (vc_redist.x86.exe). Sorry, but that did not seem to work, here are some screenshots of what my screen shows. Have you got it for the correct version of Euroscope? It's VC2015 x86 now, I think. Yes it is Alex, my mistake!